Want to write a hockey book? One tried and true hockey publishing route is to interview hockey tough guys. We've seen quite a few over the years, and undoubtedly will see quite a few more. New author Brian D'Ambrosio offers the latest such book. 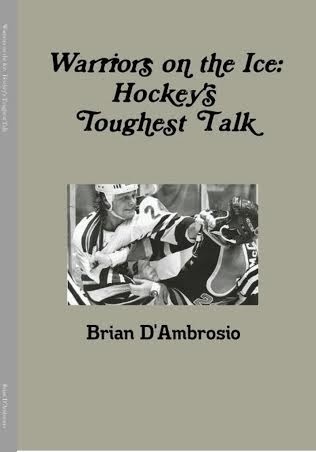 It's called Warriors On the Ice: Hockey's Toughest Talk. At this time it available only as Kindle e-book, though there may be a print deal in works for the future.